The 95 meter long, 5324 dwt hopper dredger Hansita V ran aground near Kollam, India. 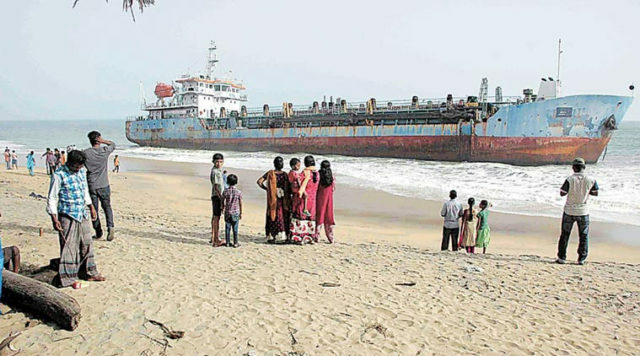 Strong winds caused the vessel’s anchor to drag and the Hansita V ran ashore on Mundakkal beach. No reports of injuries. The dredger had been at anchor off Kollam since 2013 and no reports of any crew on board at the time of the incident. Reports state the owners have asked local authorities to refloat the dredger and move it further off the coast.